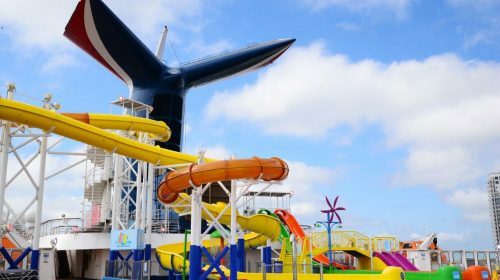 Carnival Paradise is back in service after an extensive month-long dry dock that saw a variety of spaces and innovations and many of Carnival Cruise Line’s most favorites features added to the Fun Ship. 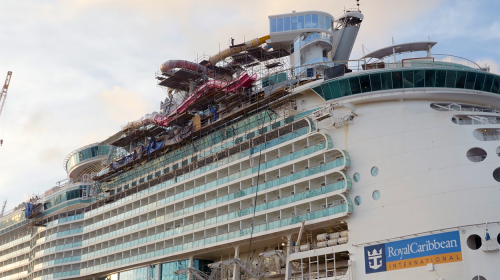 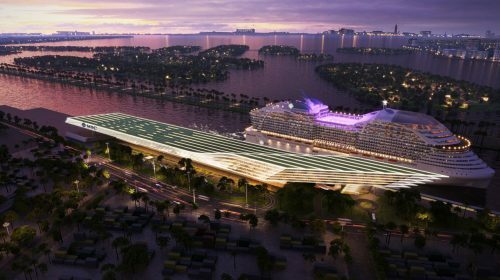 Highlights include a spectacular water park, 38 new staterooms, 98 balconies added to existing accommodations, and an array of exciting food and beverage concepts. 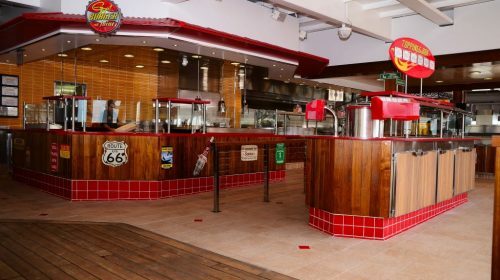 Guy’s Burger Joint: a free-of-charge poolside venue developed in partnership with chef and restaurateur Guy Fieri serving hand-crafted burgers and fresh-cut fries enjoyed amidst a décor that celebrates the chef’s California roots and love of car culture. 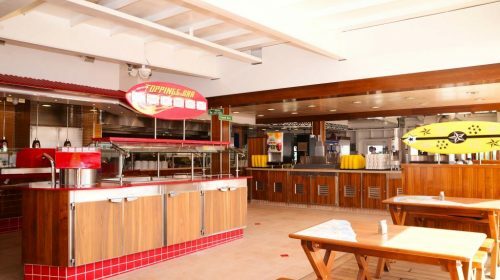 RedFrog Rum Bar: a poolside watering hole offering the quintessential Caribbean vacation vibe with refreshing Caribbean rum-based frozen drinks and beers, including Carnival’s own private label draught brew, ThirstyFrog Red. 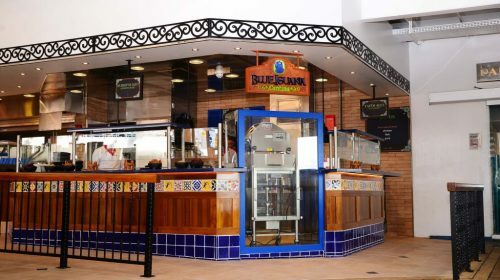 BlueIguana Tequila Bar: a fun and festive outdoor bar offering a laid-back Mexican-themed atmosphere and tequila-based frozen drinks and beers, perfect for chillin’ by the pool. 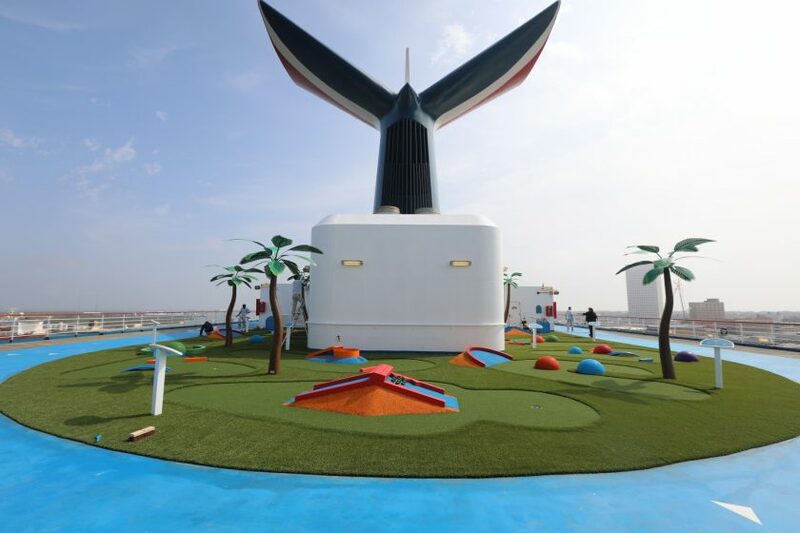 Camp Ocean: a colorful marine-inspired play area designed for kids ages 2-11 that showcases the wonders of the sea through fun and engaging interiors and more than 200 ocean-themed activities, including arts and crafts, science-oriented programming, and more. 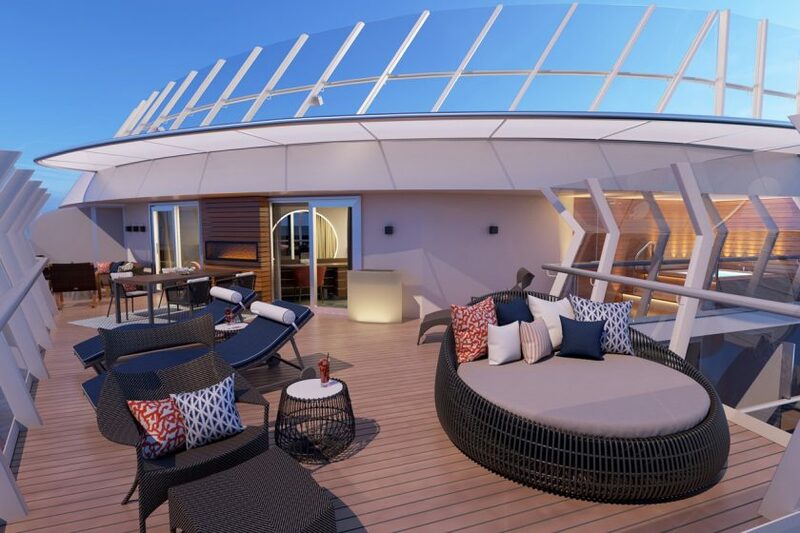 New Cabins, Stateroom Enhancements: Thirty-eight cabins have been added – two Grand Vista suites offering floor-to-ceiling windows, 22 junior suites, two scenic ocean view cabins and 12 interior accommodations. 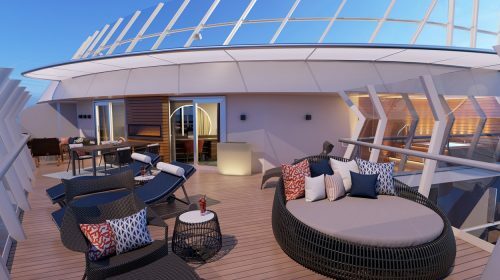 Additionally, private verandahs have been added to 98 existing staterooms, creating spacious new 230-square-foot balcony staterooms. 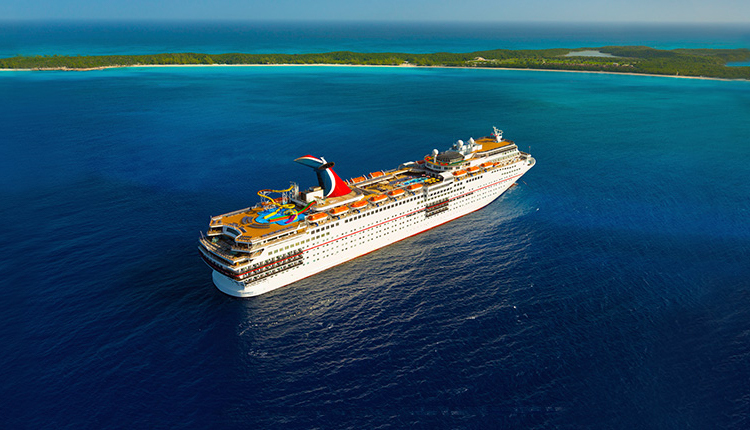 All staterooms will offer new island-inspired interiors with bright colors and soothing pastels inspired by Carnival Paradise’s tropical itineraries. 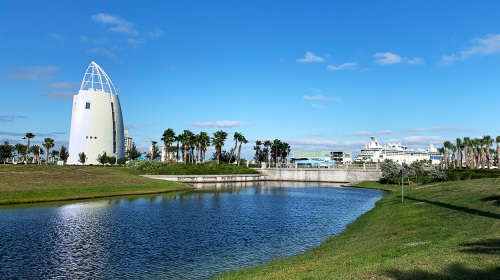 WaterWorks Aqua Park: Located on Verandah Deck, this expansive all-ages water park features an enclosed 300-foot-long Twister water slide full of exhilarating twists and turns, two 82-foot-long racing slides, and a splash zone for kids. 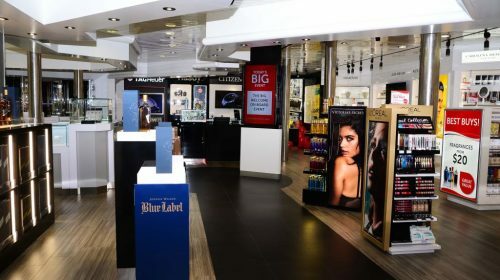 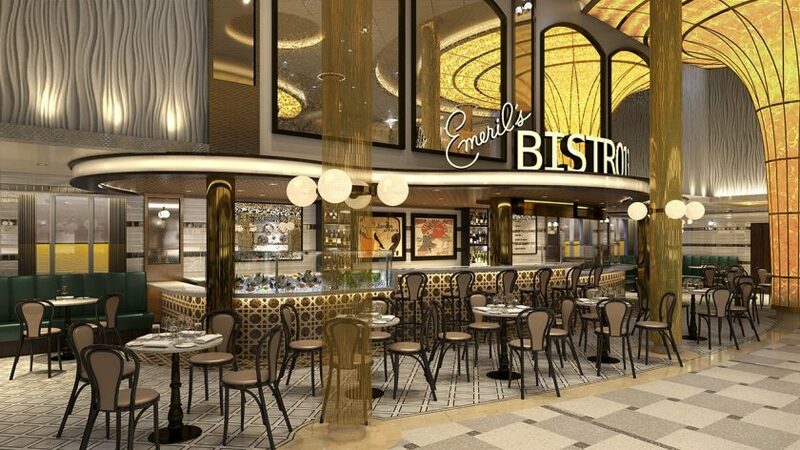 Retail and Photo Enhancements: The ship’s retail shops are being completely reimagined with a new design and enhanced product offerings with multiple brand boutiques, including Pandora and Guess. 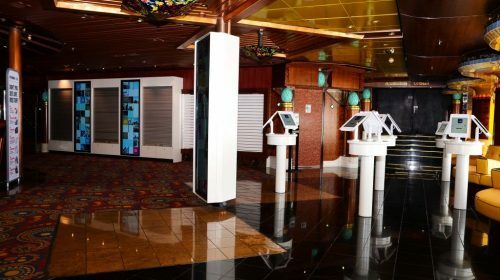 A guest favorite, the Cherry on Top sweets shop, is also being added, while the printed photo gallery is being replaced with a digital Pixels-branded platform that allows guests to identify and purchase images via their smartphones or at a nearby kiosk. 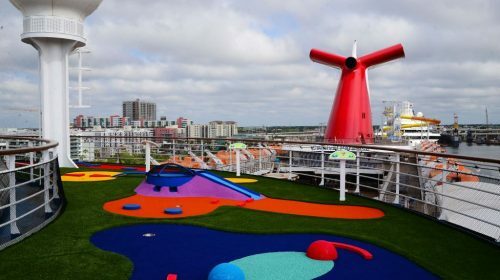 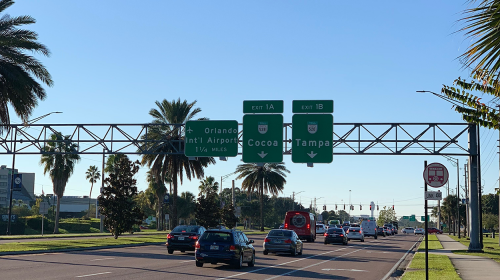 Carnival Paradise will depart today on a five-day Caribbean cruise to Cozumel and Grand Cayman – part of the ship’s year-round sailings from Tampa that also include four-day cruises to Cozumel and five-day cruises to Cozumel and Mahogany Bay (Roatan), Key West or Grand Cayman. 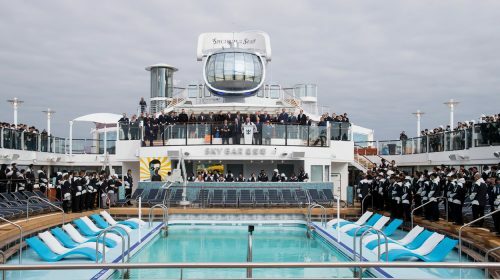 The ship also offers four- to eight-day cruises to Cuba featuring day-long and overnight calls in Havana, as well as visits to popular ports throughout the Caribbean. 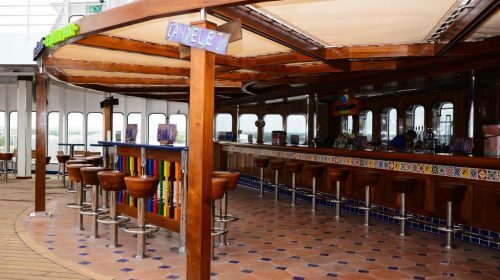 For more specific details on the Carnival Paradise and her itineraries, please visit the Carnival website.